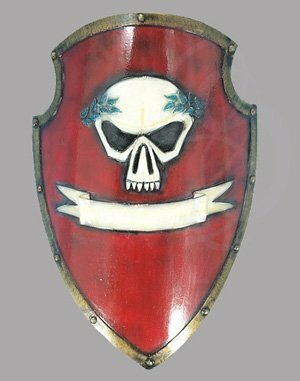 Our Imperial LARP Shield is made from extremely durable foam that does not shred and sealed with a strong coating of latex. Safety is always an issue in LARP, that is why these have a round flexible glass fiberglass core with strong Kevlar core tip protection. 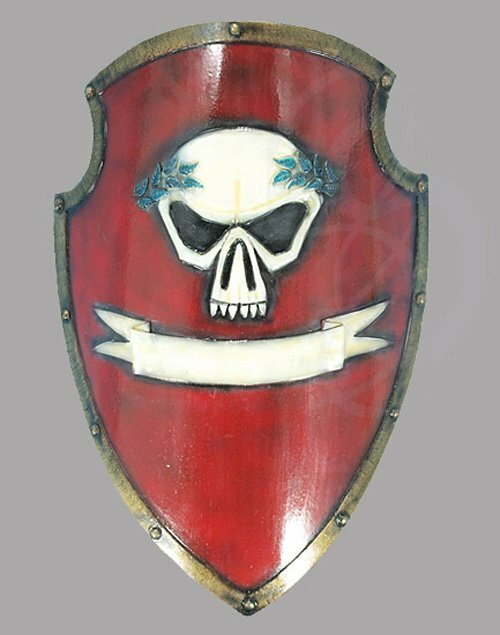 The Imperial Shield features a red background with a white skull with black shadow accents to give depth.